Please wait while we process your donation. Unable to be a Giver? Share this campaign. Every share can help raise $37 dollars or more. 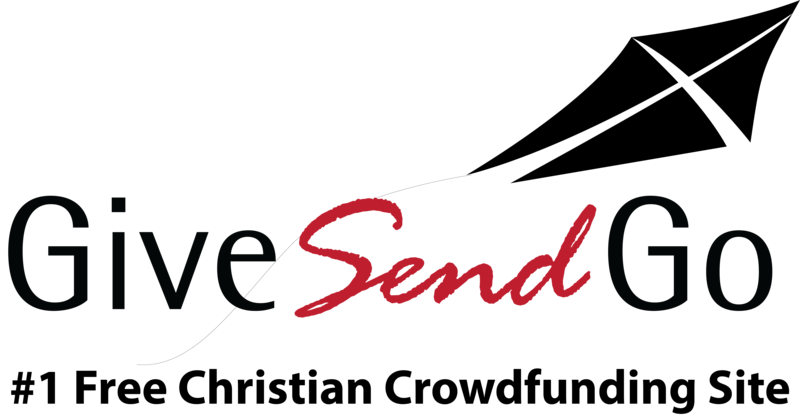 Unlike other sites, GiveSendGo is FREE. We rely 100% on Givers like you to operate our site. Welcome back . Sign in to track your donations. Create a password to track your donations. You may stop subscription donations at any time. First, select a widget size: Small (190 x 326) Medium (260 x 398) Large (335 x 454) Then, copy the embed code shown below then paste it on your site! Most crowdfunding sites charge 5% to 10% in fees just to use their platform. We dont charge any fees and won't. GiveSendGo.com relies solely upon donations from people like you to keep our site functional and free to use. All website credit processing use a third party processor. These processors are what allows transactions to be transferred online, but they do charge fees for this service. GiveSendGo uses either WePay or Stripe. Both charge 2.9% plus $0.30 per transaction. This is not a fee that goes to GiveSendGo. Follow: Children's Museum Salisbury MD. Please enter your email to receive updates regarding this campaign. A verification email will be sent to the provided email address. Please follow the link provided in the email to continue receiving updates on this campaign. Developing a children’s museum is a significant undertaking and expensive endeavor. We are relying on the support of the community to make this happen. We will need to raise a substantial amount of money in order to make this successful. We will also be establishing an endowment to ensure long-term sustainability as well as maintain a balanced budget year to year. Donors will be recognized by their level of sponsorship. Happy Birthday to Stevie and Rowan! This donation is for Leah Krieger! Happy Birthday Leah! You have a sweet heart! Happy Birthday Leah! What an amazing, generous gift idea. Thank you Leah Krieger for fundraising for the museum! This is for the museum and please add this to Leah Kriegers amount for one of the 50 founders of it. Great job, Leah. Your kindness is contagious! Thanks to Leah, for being so generous. She leads by example... Salisbury needs this Museum for children like her!! Love the idea of a children's museum in Salisbury! Nice job Leah! For our amazing, hilarious, and fun loving, Leah Kriger!! We love you! Happy Birthday Leah! What a generous young lady!!! Hope we can come visit the museum with you! Happy Birthday Leah! The Charlton Boys think you are amazing for giving up your birthday gifts to raise money for a museum that others can enjoy. I am so excited to contribute to such a wonderful cause. I can't wait to see this museum in Salisbury MD. The children will benefit so much from it. Keep up the excellent work! No gallery images have been added. Let's Create Your Fundraising Website! Create your own page and start accepting online donations. GiveSendGo is trusted around the world for its simple, reliable fundraising platform. Personalize, share and start collecting money in just minutes. Keep more of the money you raise with our no fee platform. Watching you raise money makes us happy. Raise money to share hope. Money is temporary Jesus is eternal. Give both and watch the world be changed. Share across multiple social platforms and mobile devices with just a couple clicks of a button. Real People writing real responses. No cut and paste responses from our top of the line team. We are standing by, waiting to help. Copyright © 2019 by GiveSendGo . All Rights Reserved.